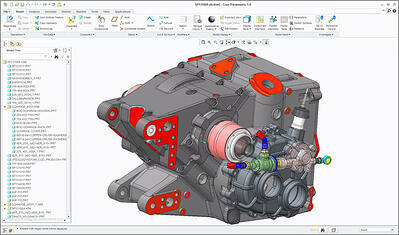 Creo 3D CAE Extensions provide design engineers with fully integrated simulations and evaluations tools. Arrive at the end-result even faster with the advanced verification processes of, allowing you to design with confidence. Creo Simulation- Understand your design performance through virtual prototyping, without requiring a FEA-background. Creo Advanced Simulation- Enhance your verification and validation process, by fully analysising your designs. All while reducing the need for physical prototypes. Creo Behavioral Modeling- Improve and optimise your ability to embed real-world design requirements into your design model. Creo Fatigue Advisor- Improve product reliability through simulating the full fatigue performance of designs. Creo Mechanism Dynamics- Test and analyse the forces and accelerations in systems, without needing to wait for a physical prototype. Creo Plastic Advisor- Analyse plastic part designs for their manufacturability, and uncover problems before tooling development. Creo Spark Analysis- Automate clearance and creepage analysis for 3D electromechanical designs, for product safety. Creo Manikin Analysis- Evaluate your products against quantitative human factors. 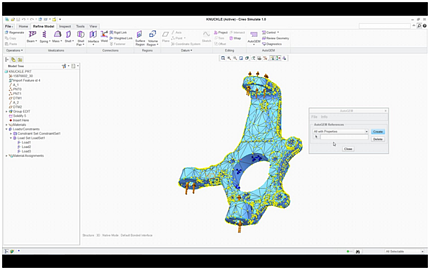 Creo Tolerance Analysis- Powered by CETOL Technology, quickly and easily analyse geometric tolerance right onto a CAD model.